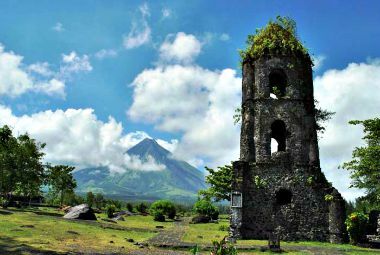 This key Bicol metropolis is firming up its hold on green tourism in reasserting its "City of Fun and Adventure" travel industry promotion caption and its "Most Livable City" title. City Mayor Noel Rosal resolved on this after looking at the growing number of arrivals that the city has been receiving not only as tourists but also attendees to dozens of grand occasions it has been hosting every year over the past few years. “Our tourism industry must be sustainable and sustainable tourism is about providing environment-friendly services. The idea of green tourism means you should be thinking about what happens when a tourist gets here. We must offer our environment as something that is respectable not only because ours is a community that is highly livable but also as a sensational place of travel,” the mayor said on Tuesday. Green tourism, which is line with the city government’s green economy advocacy that promotes climate-smart and environment-friendly practices for sustainable development, he said, should also cover facilities, activities and services made available to tourists that are friendly to the environment. Rosal defined sustainable development as a process for meeting human development goals while sustaining the ability of natural systems to continue to provide the natural resources and ecosystem services upon which the economy and society depend. As of now, the mayor said, the city government is in the process of consolidating ideas for the rational and effective use of the environmental hotspots -- resource efficiency, solid waste management, natural resource management, green transportation, water management and energy efficiency through renewable sources -- as means for catalyzing renewed policy development, cooperation and support of sustainable development. The recognition came from last year’s Livable Cities Design Challenge sponsored by the United States Assistance for International Development and organized, among others, by the National Competitive Commission, World Wildlife Fund, Alliance for Safe and Sustainable Reconstruction (ASSURE) and Asia Society and Urban Land Institute (ULI). Green Tourism, according to Briones, is literally mandated under Republic Act 9593 or the Tourism Act of 2009 that “seeks to promote a tourism industry that is ecologically sustainable, responsible, participative, culturally sensitive, economically viable, and ethically and socially equitable for local communities”. The same law ensures for local government units (LGUs) the preparation and implementation of tourism development plans that integrate zoning, land use, infrastructure development, heritage and environmental protection imperatives in a manner that encourages sustainable tourism development. He calls it the socially sustainable community-based tourism -- meaning, tourism activities that are developed and operated, for the most part, by local community members and a reasonable share of the revenues are enjoyed by the community in one way or another. Another important feature of community-based tourism is its respect for local culture, heritage and traditions as its system actually reinforces and sometimes, rescues these and implies respect and concern for the natural heritage, particularly where the environment is one of the attractions. The most important aspect of community-based tourism development is planning, which ensures sustainability involving community awareness and education that would not only keep people interested and supportive but prepared to take advantage of opportunities. “We are developing local tourism in innovative ways through communities, including various individuals and groups, small business owners, entrepreneurs, local associations and the city government, given that the development of these industries is a growing phenomenon as communities respond to the opportunities of tourism,” Rosal said. In pushing for more green tourism-focused development, he said, various projects, supported with huge funds by the Aquino administration, are under works in the city—the biggest of these is the Php2.1-billion mega flood control project that is set to be completed before the end of this year. Another is the “mega tourism highway” project, an about 10-kilometer paved road network that will connect the city with the New Legazpi Airport (also called Southern Luzon International Airport), bypassing the traffic-congested Daraga town.